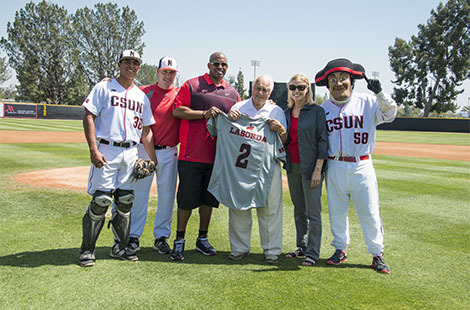 It was a jam-packed day with Dodger icon Tommy Lasorda making a special appearance at CSUN. He was there for a book signing, but he also gave a passionate pregame pep talk to the CSUN Baseball team, was honored pregame, did interviews and met with fans. It was a wild, fun day with one of baseball’s great ambassadors. Read more about Tommy Lasorda. Andy Summers talks about his new documentary, Can’t Stand Losing You: Surviving The Police, which covers his career as the guitarist with The Police. Read more about Andy Summers. There are countless tales from engineers and computer scientists around the globe about CSUN Computer Science Dean S.K. Ramesh’s dedication to his field. That’s why Ramesh, the dean and professor of electrical and computer engineering, is lauded as an international leader in the field. Read more about Dean Ramesh. Sat., April 18, 6:30 p.m. Sat., May 2, 6:30 p.m.
Join Los Angeles Public Librarian Christina Rice as she explores the changing roles of women in the San Fernando Valley through the lens of the library’s Valley Times image archives. Join CSUN’s Big West Champion basketball team as it celebrates the 2014-15 season at its annual end-of-the-year banquet. The Matador coaching staff and players will pay tribute to their exciting season and record-breaking achievements. All are welcome to attend a presentation by CSUN women alumni in prime STEM (science, technology, engineering, math) leadership roles give advice on: how to climb the workforce ladder in a male-dominated field, how to get your foot in the door in a STEM-related career and trends in this ever-growing field.